Prelert's behavioral analytics automates the analysis of your data, finds anomalies, and links them together so that your data can tell the story. Security professiona​​ls realize that analytics are becoming an increasingly important part of the IT Security technology arsenal. However, most security analytics solutions are complex, requiring the movement of data to the analytics platform, custom use case development involving professional services, and sometimes weeks of personnel and model training before useful results can be obtained. In this webinar, see how security use cases can be quickly and effectively deployed using analytics recipes pulled from Prelert’s “Hot Sheet” security use case library. This webinar will highlight examples of the use cases being deployed in an Elasticsearch environment. IT Security professionals can protect from advanced threats with security analytics. 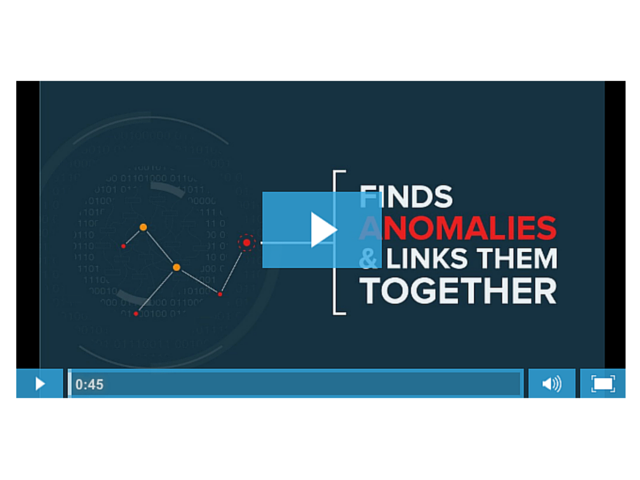 Machine learning anomaly detection finds the fingerprints of criminal activity in real-time so that you can detect problems early and act fast. Prelert is the leading provider of behavioral analytics for IT security, IT operations, and business operations teams. The company’s solution analyzes an organization’s log data, finds anomalies, links them together and lets the data tell the story behind advanced security threats, IT performance problems, and business disruptions. Leveraging machine learning anomaly detection and other behavioral analytics capabilities, the solution automates the analysis of massive data sets, eliminating manual effort and human error. Hundreds of progressive IT organizations rely on Prelert to detect advanced threat activity, reduce false positive alerts and enable faster root cause analysis. Prelert lets your data tell the story.